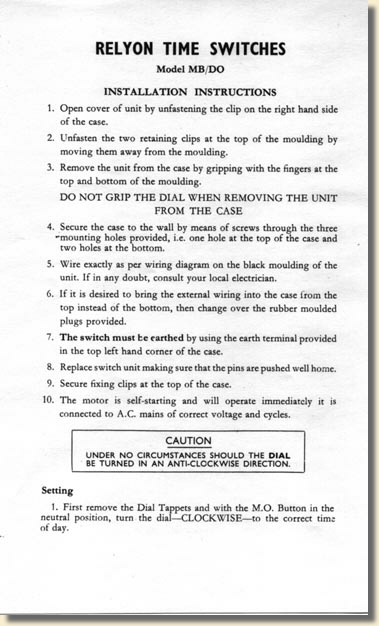 This time switch has one set of contacts, and therefore one circuit. 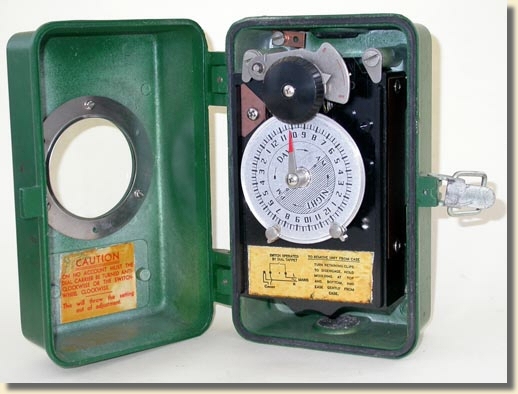 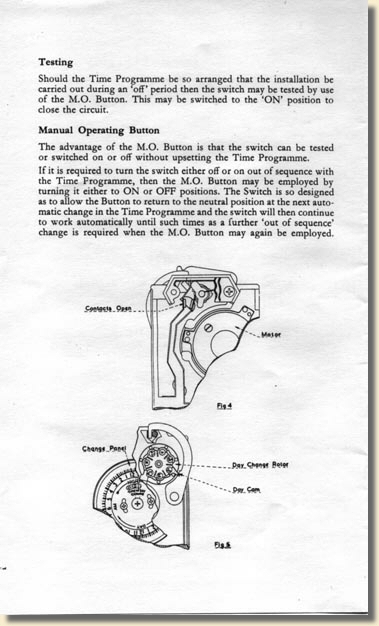 It was supplied with one pair of tappets to operate the switch mechanism but can be used with several pairs of tappets around the circumference of the time dial to set a number of 'on' and 'off' times within a 24 hour period. 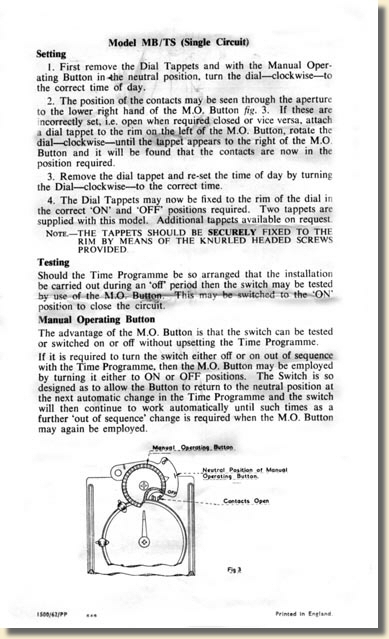 The black knob above the red pointer is referred to in the instructions as a 'Manual Operating Button'. 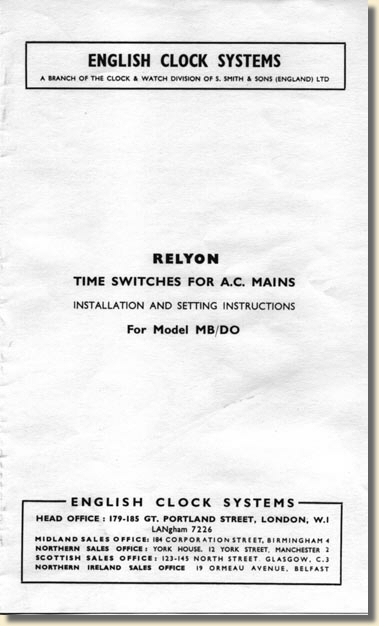 The 'MB' in the model type appears to refer to the 'Manual Button'. 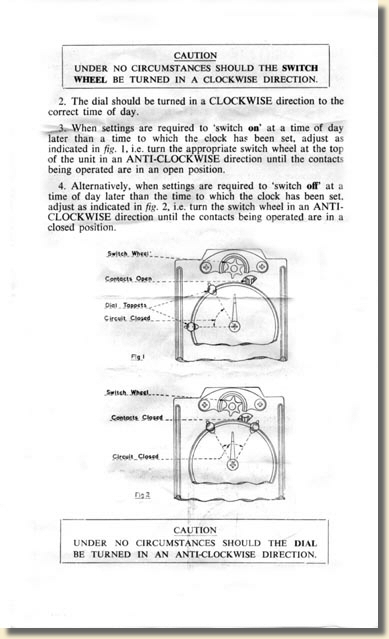 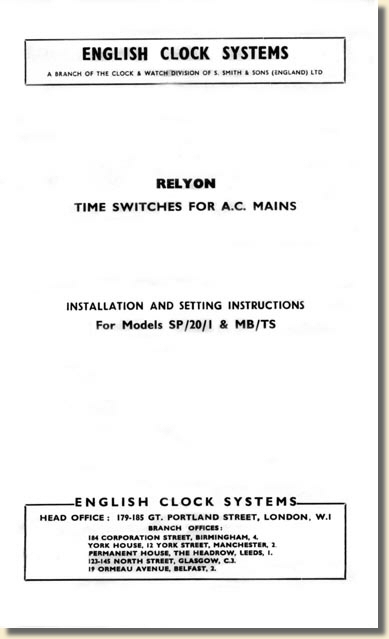 The time switch is driven by a synchronous motor powered from the AC mains supply. 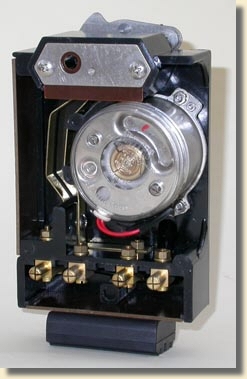 The switch and motor mechanism plug in to the case for maintenance without disturbing the wiring. 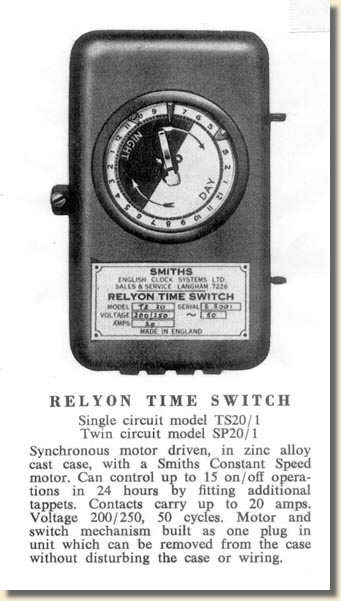 From a Smiths catalogue dated 1955. 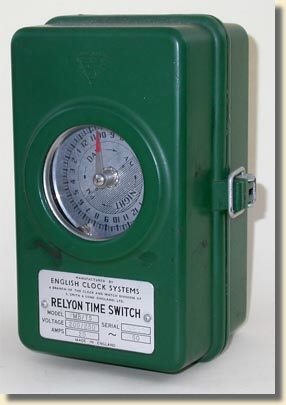 No photograph of the actual time switch has yet been found. 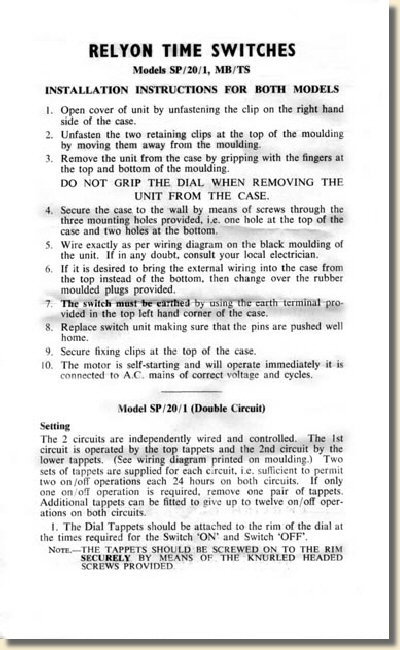 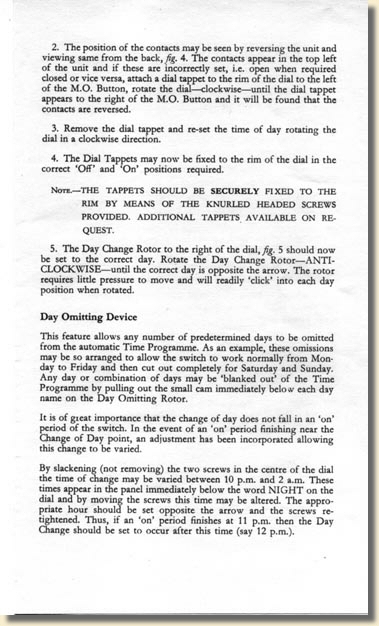 The instructions below refer to a 'Manual Operation Button' and a 'Day Omitting Device'. 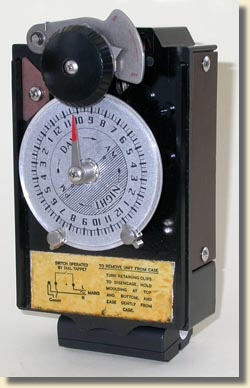 The model type MB/DO appears to reflect these features.